On the Horizon in 2018: Higher Premiums, Narrower Provider Networks and Limited Plan Choices? These days, it seems that all the news outlets are speculating about what will happen to the Affordable Care Act (ACA). Failed efforts in Washington to immediately repeal and replace the ACA, as promised by President Trump, continue to fuel uncertainty in the major medical health insurance market. However, even with the legislative unknowns, insurance companies, which offer plans on the exchange are already making plans for 2018 and beyond. Exchange premiums have continued to jump – often by double-digit figures – each year since the ACA took effect. Coupled with provider network restrictions, limited exchange plan choices, and high out-of-pocket costs, rising premiums are spurring more people into exploring alternative health care options, such as short term medical insurance. This type of plan can help insureds avoid exchange plan changes that may be detrimental to their wallet. If you find it challenging to afford the rising premiums for exchange plans, are concerned about narrowing provider networks, or want the flexibility to choose the coverage that best meets your needs, short term health insurance might be a good choice for you. This temporary health insurance coverage provides health care benefits for a specific period of time depending on your need and your state’s insurance regulations. Since the Affordable Care Act became the law of the land, short term medical plans have grown in popularity, especially with younger, healthy individuals. Averaging about half the cost of exchange plan premium prices, short term health plans can provide you comprehensive coverage at significant cost savings. 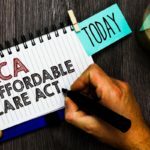 Despite the uncertainty regarding any legislative changes affecting Obamacare, many exchange health insurers plan to continue participating in the ACA marketplace without major strategy changes. However, at least one major insurer has already announced it will leave the exchange in 2018, and other insurers anticipate they will implement adjustments to their exchange plans. Many of these changes are sure to have a major impact on consumers. Even before the November 2016 election, several large insurers – Aetna, Cigna, Humana and UnitedHealthcare – already had begun scaling back their participation in the individual health insurance exchange over the past years. Now, Humana has announced that it is ending its exchange participation at the end of this year – withdrawing from all 11 states in which it currently provides coverage – leaving hundreds of thousands of insureds scrambling to find new coverage for 2018. For some consumers, such as those in the three largest metropolitan areas of Tennessee (Knoxville, Memphis and Nashville), Humana is the only individual exchange insurer. State insurance commissioner officials and legislators are concerned that unless another insurer chooses to begin offering exchange plans in those areas, tens of thousands of Tennesseans will be left with no option. “Not having an insurer on the exchange is like having a bus ticket in a town with no bus service,” said U.S. Senator Lamar Alexander. With no exchange insurer options, participants who buy ACA-compliant plans off-exchange find the costs staggering. Off-exchange plans do not qualify for either cost-sharing reduction subsidies (CSRs) or premium tax credits, which many consumers receive to help afford Obamacare plans. Finding affordable coverage alternatives, such as short term medical, will become a priority for consumers without access to an exchange plan. 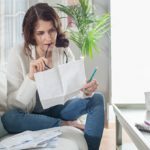 Insurance companies have just a few short months until they must make final decisions about whether (and how) they will participate in the 2018 exchange, underscoring the importance of finalizing legislative changes soon, so that insurers and consumers can make decisions in a more certain environment. Over the past several years, insurance companies have been changing the types of plans they offer on the exchange to help reduce costs for both consumers and the companies. Citing low consumer demand, Blue Cross Blue Shield insurers in North Carolina, Texas and other locations, have dropped platinum plans from the exchanges, and more insurers may follow suit in 2018. 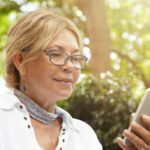 Thousands of insureds across the country have found that the Preferred Provider Organization (PPO) arrangement – a traditional plan that enables insureds to choose the providers they wanted to visit, with incentives for visiting in-network providers, and reduced benefit payment levels for out-of-network providers – are disappearing from the exchanges. Instead, Health Maintenance Organization (HMO) and Exclusive Provider Organization (EPO) plans – which typically don’t pay for any services to out-of-network providers – are the only options in many cities and states. In theory, narrower networks enable insurance companies to bargain with providers for lower payment rates, because the insurers send more patients to those providers. But many insureds, particularly those with chronic illnesses which require specialized care, have been concerned that reducing provider networks may limit health care choices and potentially impact access or quality of care as thousands of insureds are forced to switch health insurance plans. Data seems to validate these concerns: most of America’s best hospitals in the National Comprehensive Cancer Network are not covered in most of their states’ exchange plans, and an American Heart Association study found that only a few insurance plans found on the exchange included access to the specialists essential to diagnose and treat stroke – one of the most disabling and deadly diseases in the United States. Members of Connecticut’s exchange, Access Health CT, recently approved plan changes that insurance shoppers won’t like. Citing an anticipated 2017 increase of 8.5 to 9.5 percent in health plan costs for medical services and prescription drugs, the board is scrambling to work with exchange insurers to keep premium adjustments as low as possible for 2018. That’s why the board voted to change its current broad prescription medication coverage requirement to one that would enable plans to potentially cover fewer drugs. Further, the board approved higher deductibles as well as higher out-of-pocket cost caps for most exchange plans. The hope is that these changes might help offset rate increases. As other states begin to review proposed premium rate adjustments for 2018 from exchange insurers this summer, it’s feasible they may choose to approve similar plan changes. For 2017, the average national premium increase for exchange plans was 25 percent. Insurers have until June of 2017 to begin filing proposed rate adjustments for 2018, and most are still reviewing claims data, risk pools, and enrollment of young and healthy individuals, to determine what those adjustments could look like. But for insurers who are compiling preliminary rate adjustments, there is a broad range of anticipated increases. The Oliver Wyman survey of insurance companies participating in the exchanges found that half of respondents are planning an increase between 10 and 20 percent; a quarter are considering an adjustment of less than 10 percent, and the remaining quarter of respondents are planning an increase of more than 20 percent. Exchange enrollees who receive premium tax credits or CSRs probably won’t see a significant premium adjustment. But many enrollees don’t qualify for tax credits/subsidies. And some shoppers buy off-exchange plans because of a lack of access to an exchange option, or to ensure they may visit the health care providers they choose. For these consumers, another round of staggering premium increases may be overwhelming. The premium rate adjustment filing process begins in June when state insurance commissioners will receive proposed adjustments from insurance companies. After reviewing the proposals, commissioners then approve, deny or adjust the rates with final rates being published by October. Another key factor in what will happen with exchange insurers in 2018 depends greatly on the outcome of the lawsuit filed by the U.S. House of Representatives (formerly House v. Burwell, now House v. Price). The suit challenges the federal government’s funding of the CSRs to help low-income exchange enrollees receive coverage. Currently, individuals with income between 100 – 250 percent of the federal poverty level may enroll in plans with CSRs, which lower their deductibles, copayments, and coinsurance, helping reduce their out-of-pocket health care costs. The program operates by having exchange insurers provide CSRs to eligible enrollees; the federal government, in turn, reimburses the insurance companies. By the end of 2016, the federal government reimbursed nearly $7 billion to insurance companies, for the six million people who qualify for CSRs. A lower court ruling sided with the House of Representatives, which could have resulted in stopping the executive branch from funding the reimbursements. However, the Obama administration appealed the decision and a ruling by the appellate court has been delayed until May. Should the Trump administration simply allow funding to dry up, or unilaterally stop the funding program, by ceasing to defend the case, it could result in chaos for exchange insurers. These companies are legally obligated to continue funding the CSRs for the remainder of 2017; without reimbursement, the insurers would lose billions of dollars. Insurance industry analysts predict that if the federal government’s reimbursement program to insurers ends, most insurers will withdraw from the exchange in 2018 entirely, or specifically depart from the individual exchange market. A recent series of rulings from the Centers for Medicare and Medicaid Services (CMS), designed to help stabilize the health exchange market by tightening enrollment loopholes and discouraging consumers from gaming the insurance system, will only go so far to reassure insurers to stay in the market. Many have indicated they need a commitment from the administration for the subsidy reimbursements to continue if legislative changes are not passed by the time proposed rate adjustments are due to state insurance departments in June. Until legislative changes to the ACA (if any) are passed, many people without major medical insurance may be reluctant to purchase exchange coverage with such uncertainty in the market. If you’re among that crowd, now is the perfect time to check into alternative options, such as short term medical. You’ll receive the comprehensive coverage you want at an affordable rate, making it a valuable health care coverage solution until Washington delivers greater clarity about how the health insurance exchanges will be impacted in the future.